Some ski resorts in the Alps have had up to a metre of fresh snow which they now hope will signal an end to one of the poorest winters in recent years. Last month, some resorts had to close as there was not enough snow to keep the runs open. Many people cancelled their holidays and some even said they would never ski in Europe again. It came at a time of increased fears about global warming and worries that many ski resorts would simply go out of business over the next few years as the temperature warmed up. Much of that has now changed. Les Arcs in France had 60cm in one day this week. Since last weekend it has had almost 2m of fresh snow. 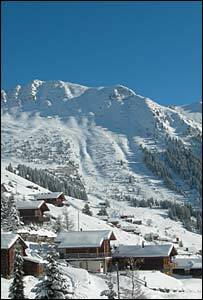 The majority of the French resorts have had significant snowfall. It is a similar picture across the Alps, although in some of the low-level resorts it has rained. I am in the Swiss resort of Verbier and it has been snowing steadily for the past three days, bringing 30cm of snow. Ironically many of the higher runs have been shut as there was too much snow and a danger of avalanches. The snow has come at an ideal time with half-term holidays across Europe. The European ski industry hopes it will help salvage its tarnished image - some people are beginning to think of the Alps as having a problem with snow. "All the stories in the press earlier this winter about the poor snowfalls did damage to the ski industry as there is now a widespread perception there is no snow," said Toby Mallock, the commercial director of the Verbier ski school, European Snowsport. "Of course the conditions were bad in many resorts at the beginning of the season, but they are not now." There are many myths and misconceptions prompted by concerns about global warming and the effect it may have on the ski industry. "It's a little reported fact that last winter in the Alps, it was actually the coldest for over two decades. 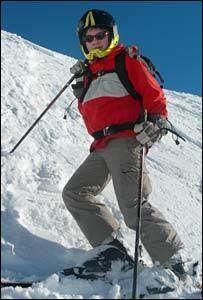 Everyone thinks the Alps are just getting warmer and warmer," said Olivier Roduit, a Swiss mountain guide. This Christmas, wide sections of the media reported on the poor snow conditions in the Alps, blaming it on high temperatures. Not true. It was well below zero in many resorts but it simply did not snow. The temperature had little to do with it. People seem to remember that snow is not guaranteed over the Christmas period, except in the high resorts, and yet they forget that April now has superb conditions. Last winter, I skied at the beginning of May in Tignes in France in deep snow. Many of the resorts across Europe closed at their traditional time of Easter when there were metres of fresh snow across the pistes. The new snowfall has however sharply increased the danger of avalanches. Two British skiers died in Bruson, near Verbier, this week. 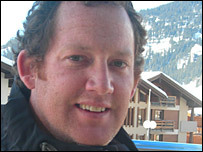 Another British skier died in the resort of La Plagne, bringing the number of deaths this year in France to 11. In many places, heavy snow has fallen on an icy layer making the conditions very unstable. In many resorts the risk is three on a scale of five. Some skiers interpret this as safe, but it means there is considerable danger. More people die when the risk is at three than any other level. "People should take extra care at the moment and only ski off piste with a mountain guide," said Pierre-Yves Deleze from the Verbier tourist office. Despite these tragedies, the ski industry is receiving a welcome boost from the new snow. However the weather has been very unpredictable this winter. It is set to warm up sharply which may mean the snow is short lived.